100 home must-haves: number three. When British designer Lee Broom launched his Crystal Bulb light in 2012, they were an instant commercial hit, quite simply because he had taken something so ordinary, utilitarian and mundane (the light bulb) and made it beautiful. Now it was something to display not hide away; something to keep, not throw when blown. Crucially, for something you could keep forever, it was also an affordable, everyday beauty. I have three hanging in my bedroom, and elsewhere I have Lee’s precursor to the Crystal bulb, the Decanter light wherein a normal bulb sits inside a shade formed from a vintage Crystal decanter (top row, centre). The only other contender in my book for a souped up light bulb is the Plumen (I have these in my spare bedroom), however where this is all twisty designer splendour, Lee’s Crystal Bulb is just ridiculously pretty. Even the reflections it makes look like flowers! Of course this is down to the glass cutting, whereby the classic facets are modelled on traditional crystal patterns. So who makes the crystal? They’re hand-crafted using traditional techniques at the Cumbria Crystal factory, the sole remaining producer of full lead English hand-cut crystal in the UK. Will they fit any normal bulb socket? Yep, they’re specially designed to fit any standard screw-in, wall, lamp or ceiling E27 socket. And they take a 2W LED bulb. How much do they cost? 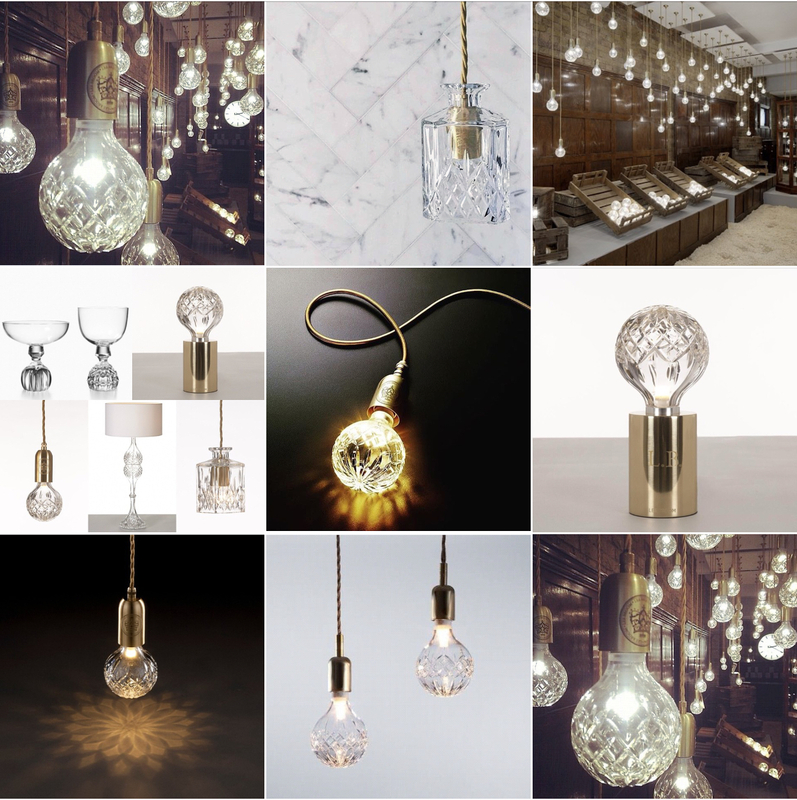 The Crystal Bulb can be purchased on its own (clear or frosted finish) for £135, or with a brushed brass pendant fitting for £230. Each pendant fitting includes a gold silk flex colour matched to the fitting and a brushed brass ceiling rose mount. And, you can even purchase it as a table lamp for £285.